Papua New Guinea and Australia are working together to restore critical power supplies across parts of Southern Highlands and Hela Provinces following the devastating 7.5 magnitude earthquake. Working closely with PNG Power Limited, Australia has provided up to A$400,000 (just over PGK1,000,000) for the purchase and delivery of ten 80kva transformers that are needed to restore power across parts of Hela Province and Southern Highlands Province, which have a combined population exceeding 750,000. The transformers will see reliable power restored to some 3,500 PNG Power customers, including businesses, health clinics, schools and family homes. Power is critical to businesses across the region. PNG Power estimates that the economic impact of the power outages caused by the earthquake already exceeds K4 million in losses to local businesses. Hospitals and schools across the region are also reliant on reliable power supply to maintain their normal operations. 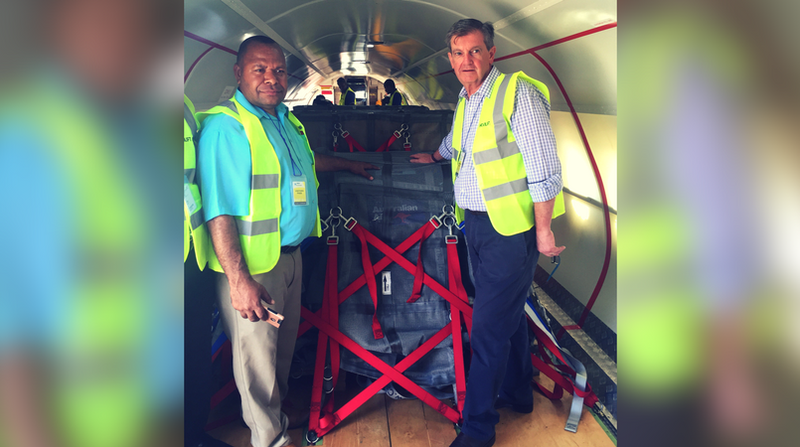 The new ABB transformers were delivered by a Hevilift ATR freighter aircraft to Mt Hagen on Saturday. Immediate transit on to Mendi and Tari was arranged via helicopter to ensure the transformers could be delivered as rapidly as possible. PNG Power is now working to install the transformers in locations across the two provinces in order to re-establish reliable power supplies to critical infrastructure. Prime Minister O’Neill welcomed the close partnership with Australia to support communities impacted by the earthquake. “Papua New Guinea welcomes Australia’s response to provide humanitarian relief and essential infrastructure to those most in need. This reflects our true partnership,” Prime Minister O’Neill said. Carolyn Blacklock, acting managing director of PNG Power Limited, was pleased by the rapid response. 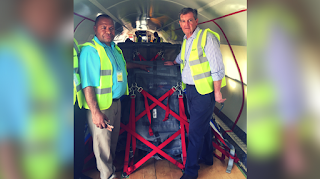 “This was an excellent collaboration between PNG Power Limited and Australia, with valuable assistance from Cardno and Hevilift,” stated Blacklock. Australian High Commissioner to Papua New Guinea Bruce Davis noted Australia’s commitment to supporting Papua New Guinea in this difficult time. “Australia will support Papua New Guinea’s efforts, both in the initial humanitarian response and in future reconstruction efforts, in the wake of this terrible disaster,” Davis said. “We are very pleased to have been able to provide this immediate support to PNG Power to reconnect businesses and communities across the region.